As interest in the daily management system grew, we taught it to other health systems in the U.S. and Canada and early results showed very promising returns. The daily management system gave administrators and caregivers a method to find the root cause of problems together, every day. Instead of rushing around putting out fires, managers began their days resource planning with front-line staff and addressing issues before they became problems. Quality metrics rose and costs dropped. Kim Barnas set out to see if organizations that experienced improvement early on from implementing a management system have been able to sustain results. 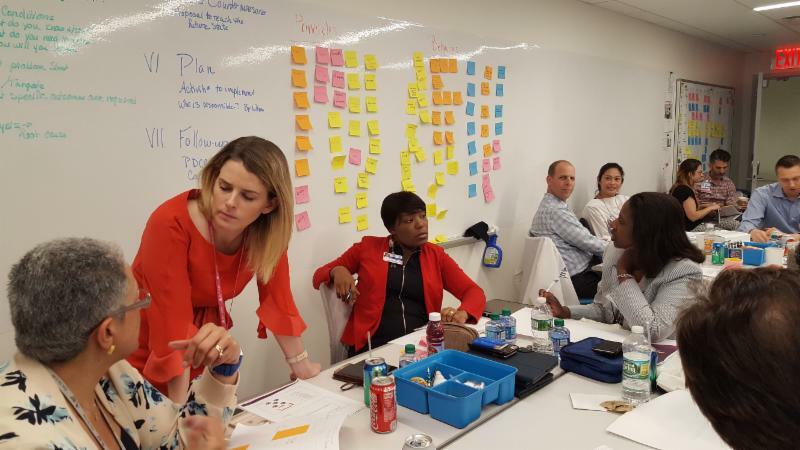 Public workshops are a great way to gain new knowledge and skills that can help accelerate your organization’s cultural transformation and help you progress on your personal improvement journey. We are currently finalizing our workshop calendar for 2019. Sign up to be notified when the calendar is published. Cleveland Clinic empowers every caregiver to make improvements every day. 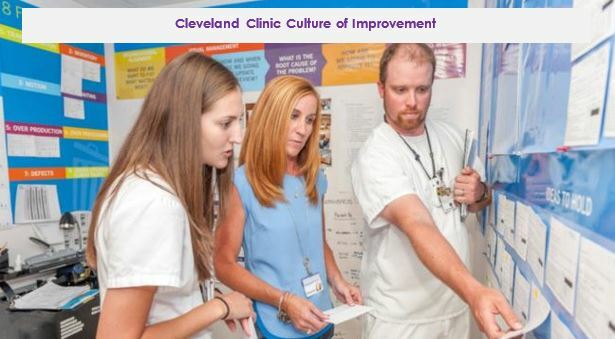 They utilize the Cleveland Clinic Improvement model and their problem-solving program, SolVE, to help create their culture of continuous improvement. Join us on an Executive Site Visit on November 12 to see for yourself how leader behaviors impact culture. In July of 2016, SAMC began working with Catalysis to transform their culture and improve patient care. Catalysis engaged in on-site Executive Coaching and facilitated training for the development of the lean leadership capabilities of the executive team using strategic alignment and deployment through a Lean Management System.